Notes: Display consisting of framed pictures of bridges as well as a model bridge and iron beam samples. 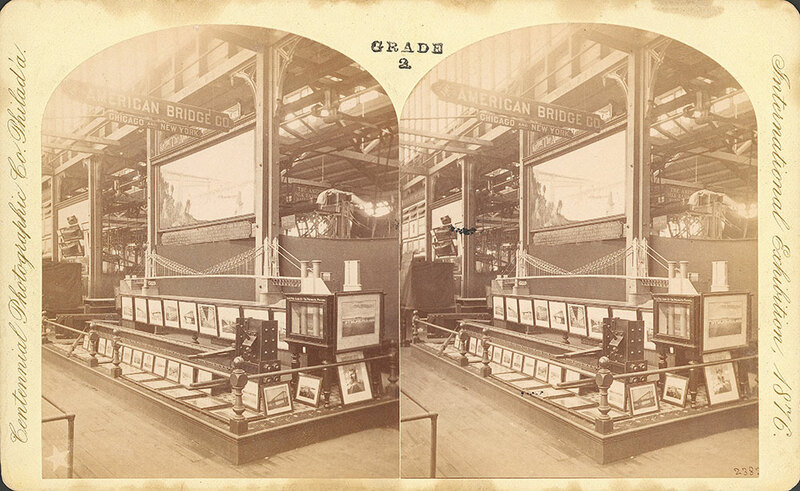 Notes: Exhibit title: American Bridge Co., Chicago, IL., Exhibit #298, Main Exhibition Building, Bldg. #1.